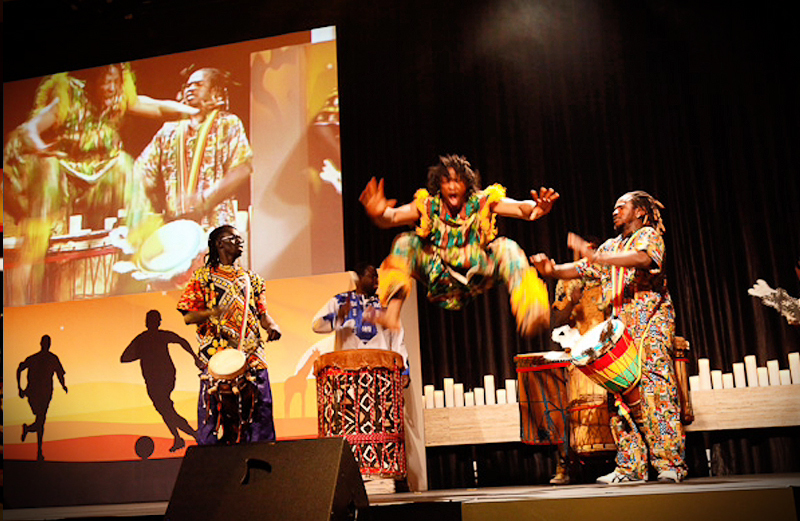 Perhaps our most popular and versatile African performance option, Drum Mania can take on any number of performers and musicians (from 2 to 8, 10, 12 and beyond! ), incorporating not only master drummers but also dancers and saxophonist if you wish! Whether it be on stage, roving or a combination of both, Drum Mania will inject a highly energetic and dynamic element into your event. A selection of instruments - djembe, doun douns, 44 gallon bass drum, talking drum and congas are just some of the instruments we can paint your soundscape with. Add Fire & Light for extra wow factor! Music both percussive and gentle that conjures the feeling of the African landscape, African Chillout is often utilized for ambient background performance during pre dinner canapés, drinks or dinner itself. 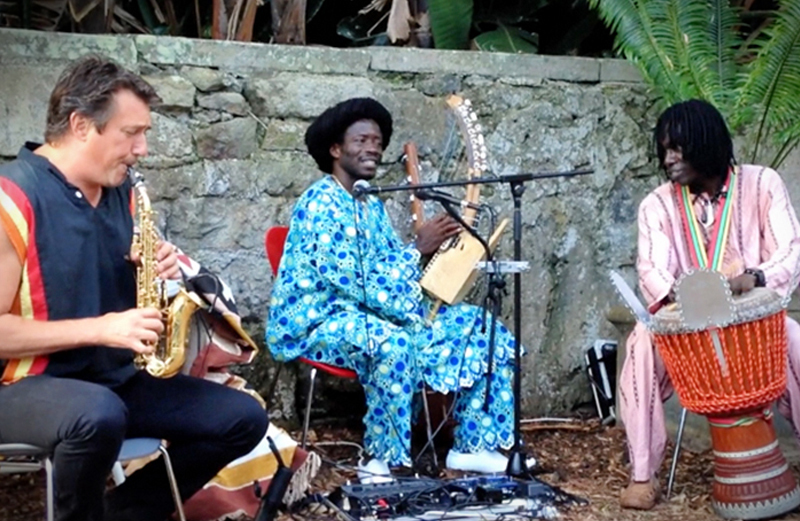 Three performers form our African Chillout team. Instruments include - Kora (21 stringed African Harp), percussion, mbira (finger piano) and Saxophone. Gumboot Dance involves the expansion of traditional African dance steps with an injection of contemporary movement and song. Extremely physical, the dancing serves as a cathartic release, celebrating the body as an instrument and the richness and complexities of South African culture. 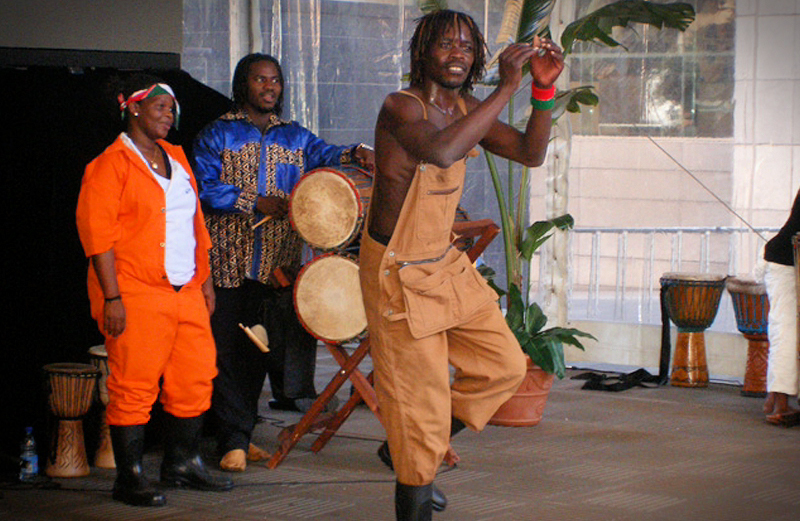 Gumboot dancing is truly a South African art form with a universal appeal. Filmed at ANZ Stadium for the opening of the Castrol Edge Rugby Championship kick off, watch below as our gumboot performers do their thing! Hear the voices of the choir soar and paint a picture of the African soundscape. Choir performances are truly striking and perfect for spotlight entertainment. Choir sizes start at 10 performers upwards. Donning bright, colourful costumes, our African dancers are the real deal. High energy, exquisite performances from both male and female dancers take your event's visual impact to a whole new level. An ideal addition to Drum Mania performances. 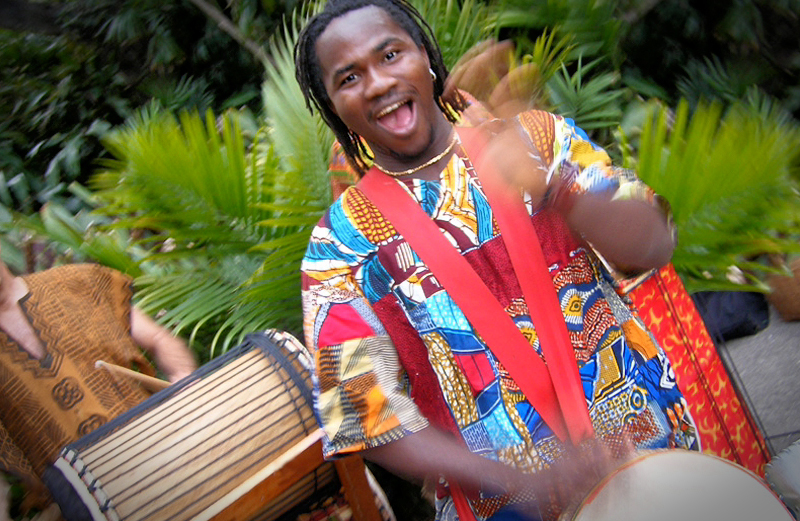 Drum Circle Events is your access point to some of the nation's best African and World Music bands covering an incredible spectrum of styles. Head over to our Bands and Cover Bands page for all our contemporary instrument (electric guitar, bass, drum kit, keyboard etc) infused options!